For weeks, teenaged Joy has been on her own since her self-destructive, narcissistic mother ran off with a man. Now returned home, her mother provokes Joy's anger as familiar behavior patterns reemerge. Nominated for Best Actress (Sarah Marita) and Best Acting Duo (Sarah Marita and ​Anne von Keller). Directed by Roberto Lopez Saavedra. Dr. Morris interviews for a new position and it doesn't go as planned. On his way home to his wife, his attempts to conceal the truth and fix the situation become increasingly awkward. Directed by John Addis & Matt Bowron. The unexpected encounter of two strangers in a shared taxi becomes a dream-like exploration of their potential relationship. Do they actually know each other? Have they shared a past? The surreal ride provides more questions than answers. Selim works as an extra on a film set. As the crew works to film multiple takes, boredom and drudgery sets in, and real life and film intertwine in surprising ways. ​Nominated for Best Sound (Baran Cem Yigit and Ibrahim Kahraman). Nominated for Best Editing (David Castro Gonzalez) and Best Sound (Emilio Pascual). Saddam's gold is smuggled into Turkey during the Iraqi War, hidden in cotton. To eliminate possible theft, the smugglers use blind workers to separate the gold from the cotton, telling them they're removing rocks. But are all the workers unable to see? Directed by Nuri Cihan Ozdogan. Nominated for Best Actor (Kemal Burak Alper). An undercover drug bust is interrupted by a chance encounter with an old high school classmate - and forces a man to find the hero within himself. Nominated for SIFF Audience Choice Award. A young woman experiences the complexity and bittersweet melancholy of loss and fulfilling a final wish. An 8-year-old girl is found dead in a park where she was playing with her classmates. When the authorities question her best friend Serena, suspicion begins to fall on Serena's father. From San Quentin's death row, a convicted killer tells the gripping, tragic story of his life and crimes. When the day of his execution arrives, something extraordinary happens and the space between life and death isn't so clear. 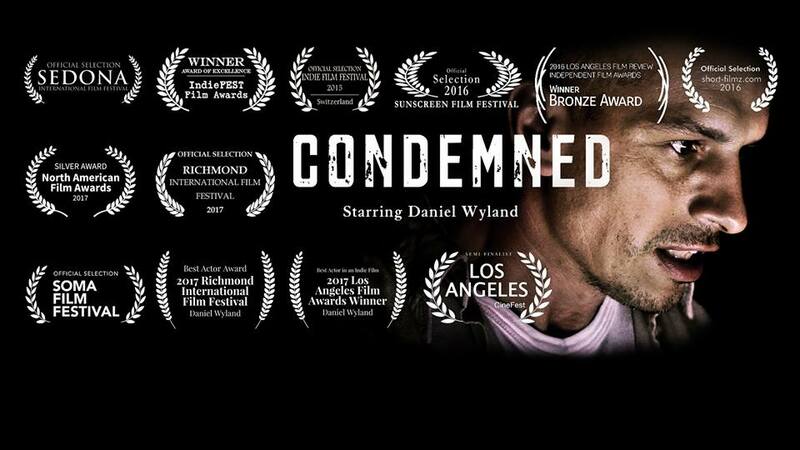 Nominated for Best Actor (Daniel Wyland) and Best Screenplay (Legrand McMullen). A woman prepares to leave her apartment. She methodically cleans and packs, and looks to her neighbor to borrow money for the train – all the time unaware of where her trip will ultimately lead. Nominated for Best Sound (Lukas Reichert), Best Actress (Beate Malkus), and Best International Film. ​Returning home for the first time since the tragedy that changed both of their lives, Antonio attempts to reconnect with his best friend Sandro. Directed by Francesco De Giorgi. Nominated for Best Acting Duo (Giorgio Consul and Fabio Zullino) and Best International Film. Two days before retirement from her rental car job, Anja makes a decision: She will not leave her work of 45 years, where she has been tending to the cars and mechanics around her. But when a young trainee is sent down to replace her, Anja is forced to reevaluate her life and future. Nominated for Best Actress (Cris Af Enehielm) and Best Acting Ensemble. During the financial crisis in 2009, thousands in Spain were unable to keep up with their mortgages. Banks evicted families from their homes. Nine-year-old Ainhoa has left home with her school bag, her Playmobil figures, and a plan. Nominated for Best Short Film, Best Actress (Aurelia Schikarsky), Best Acting Ensemble, Best Screenplay (Ivan Sainz-Pardo), and Best Director (Ivan Sainz-Pardo). Grieving over the loss of her mother, Jane has a meltdown in a garden store. Out of options, and a bit out of her mind, she calls a number written on the bathroom stall. The person who answers is unexpected, but it turns out to be exactly who she needs. Two friends living in the outskirts of Madrid are spending their days drinking beer in the park and talking about the hottest girls in the neighborhood. But a combination of the summer heat, a plan to access a swimming pool, and a personality test reveals a hidden truth. ​Nominated for Best Acting Duo (Ferrán Vilajosana and Álex Villazán). A small military detachment is in a blockade, with little water and food, and help is days away. In between enemy attacks, they spend time copying and adapting one of their fallen friend's letters to leave to their own loved ones. Nominated for Best Sound (Arman Avestisya and Tigran Kuzikyan), Best Cinematography (Arthur Gharayan), and Best Visual Effects. ​"Sometimes the worst place that you can be is in your own head." A visual representation of the inner struggles of those suffering from anxiety, told as a drama with little dialog. Nominated for Best Music (Steven Lanning-Cafaro), Best Acting Ensemble, Best Director (Chris Esper), and Best Short Film. US Premiere! Three delinquent girls in a group sentenced to community service accidentally kill their supervisor and force the entire group to take responsibility. Or was someone else behind the killing the whole time? Nominated for Best Music (Lars Henriks), Best Acting Ensemble, Best Feature Film. 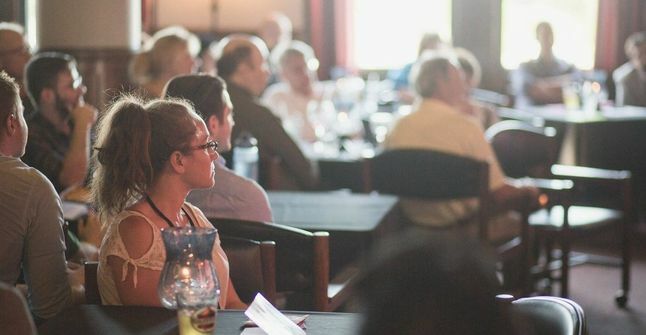 Join us before the Awards Ceremony for a fascinating Q&A discussion with filmmakers about the joys of making independent films and the challenges in current environment. for our annual Tommy Awards Ceremony from 6:30-9:30 PM! Catered by Third Alarm Diner.